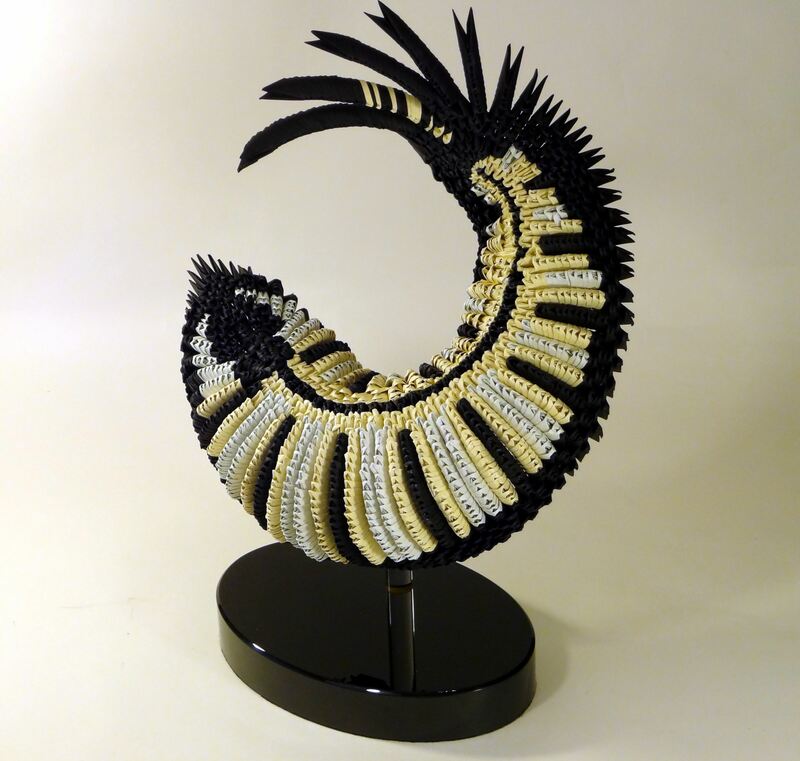 These fine art sculptures were inspired by traditional Modular Chinese Folk Art called ZHE ZHI (Paper Folding) and the immigrant artists who introduced the modular paper folding technique to the western world. 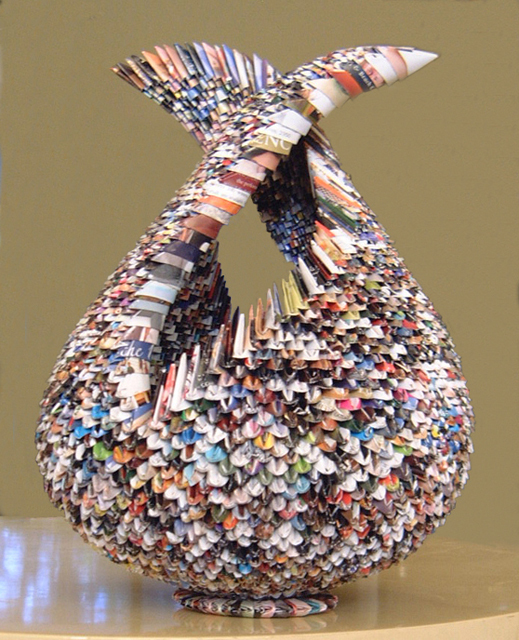 These sculptures are made of many pieces of archival quality (acid free) colored ink jet paper. 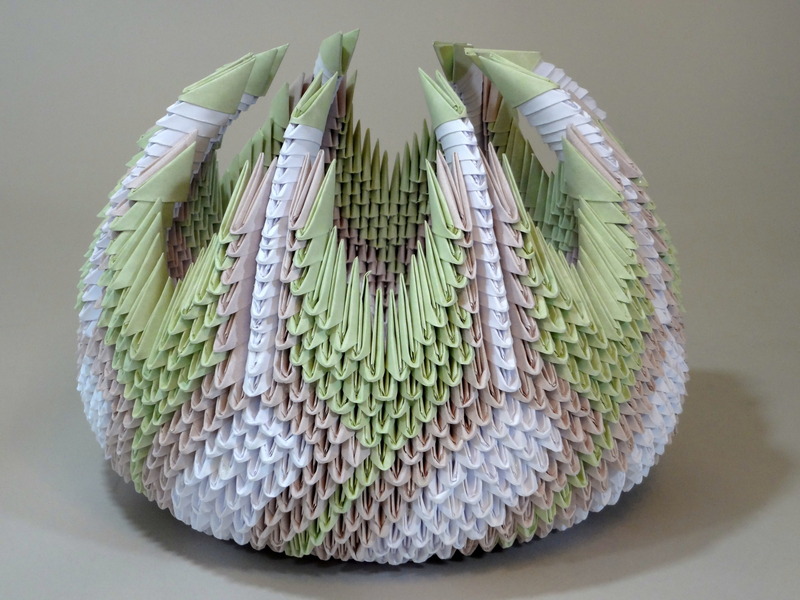 Each module of paper is cut in a proportion of 1:2 from a uniform set of squares. Once cut, each individual rectangular piece of paper is folded 9 times, exactly the same as the others, forming a triangular double pocket which is then linked to the next module and glued with archival quality liquid glue. Average time for construction is two months. In the United States, in 1993, illegal Chinese immigrants were captured off the coast of New York Harbor. 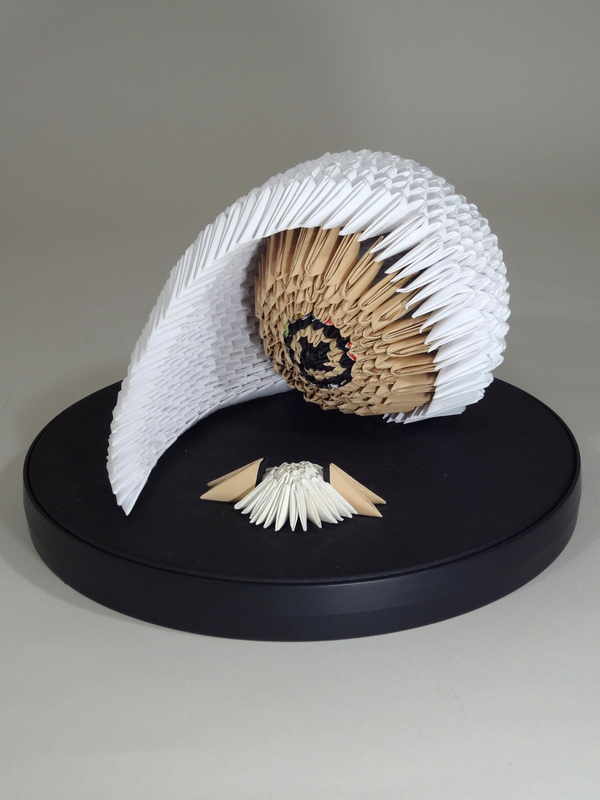 While in prison waiting for their cases to be decided, the prisoners created remarkable folded multi-unit paper sculptures with ordinary materials such as magazines, newspapers, legal pads, etc. 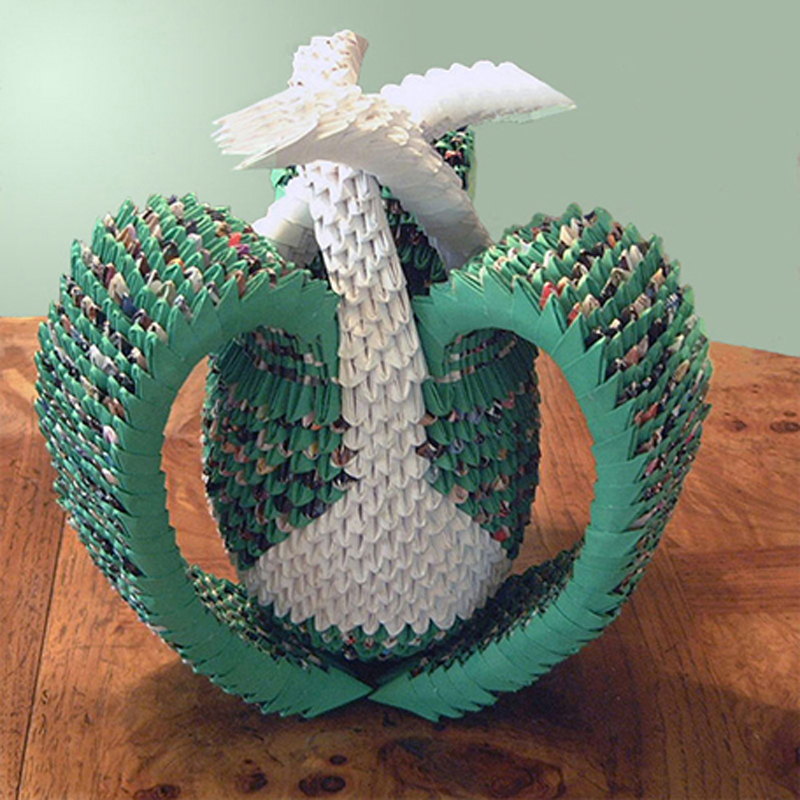 At first, because no one in the western world had ever seen it before, it was thought that this unique folding style was invented by the prisoners when, in fact, it was an ancient Chinese art form. These sculptures were sold to raise money for their cause through an exhibit called “Fly to Freedom,” sponsored by friends, lawyers, and later, the Jersey Historical Society. Today, the style is also known as “Golden Venture Art,” named after the ship that carried them onto our shores. Zhe Zhi, a technique that was, and still is, traditional in China. The refugees of the Golden Venture transcended the confinement of their cells and created both meaning and beauty from the most ordinary of materials. These immigrant artists have inspired me. 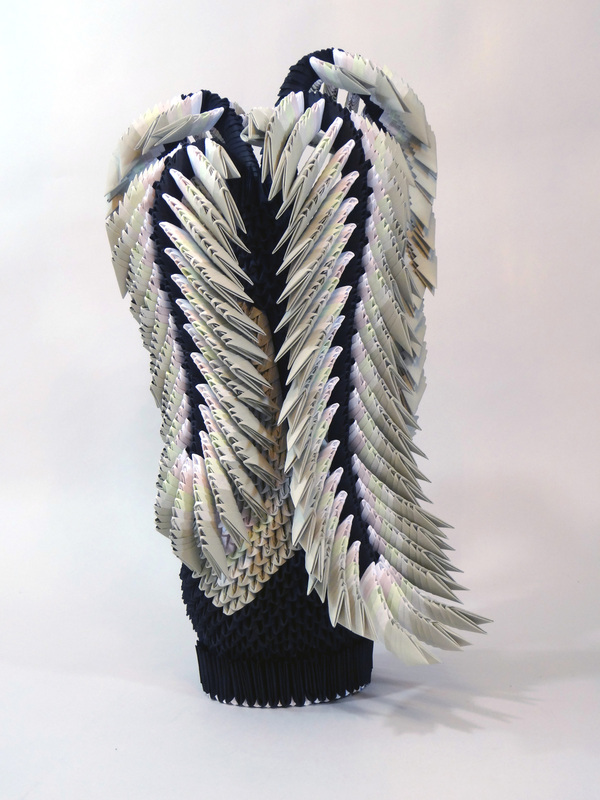 Chinese unit paper folding has influenced my sculptural efforts. 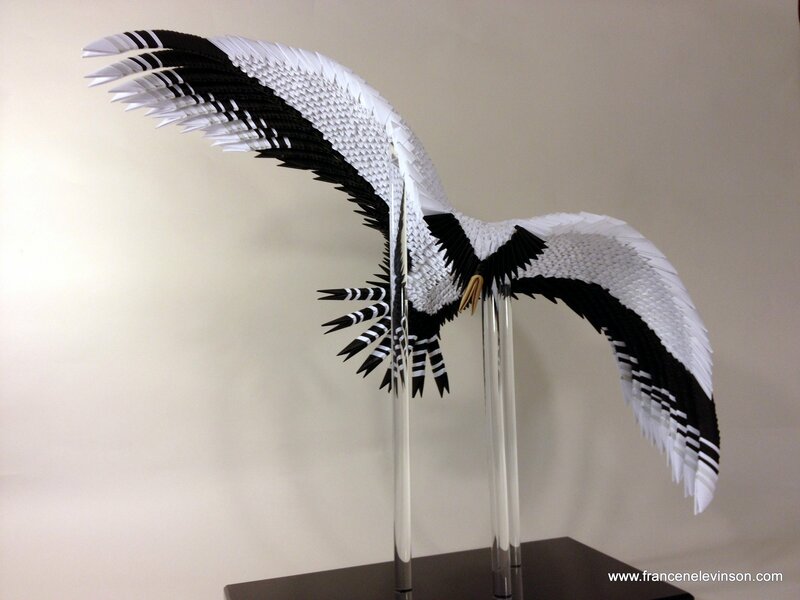 Paper is as fragile as freedom. 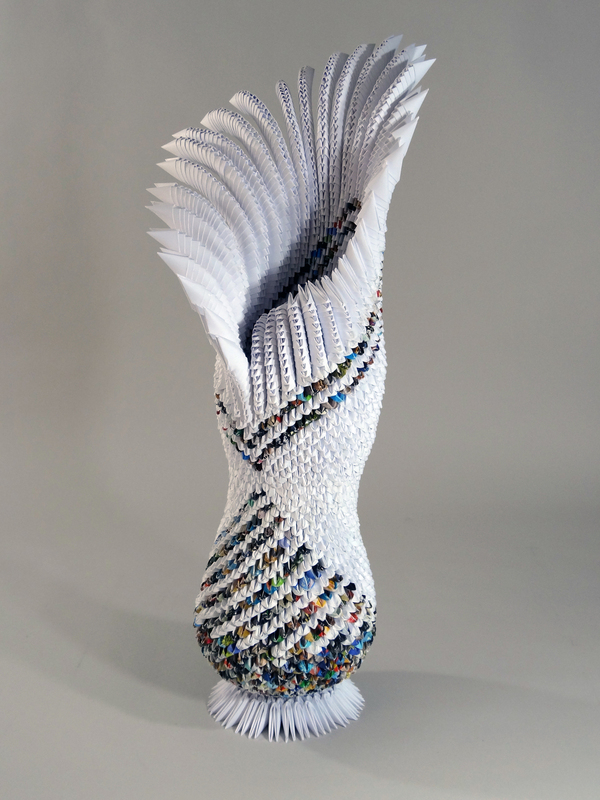 Amazingly, paper can be as strong as the desire for that freedom when it is linked together in this unique form of paper art. 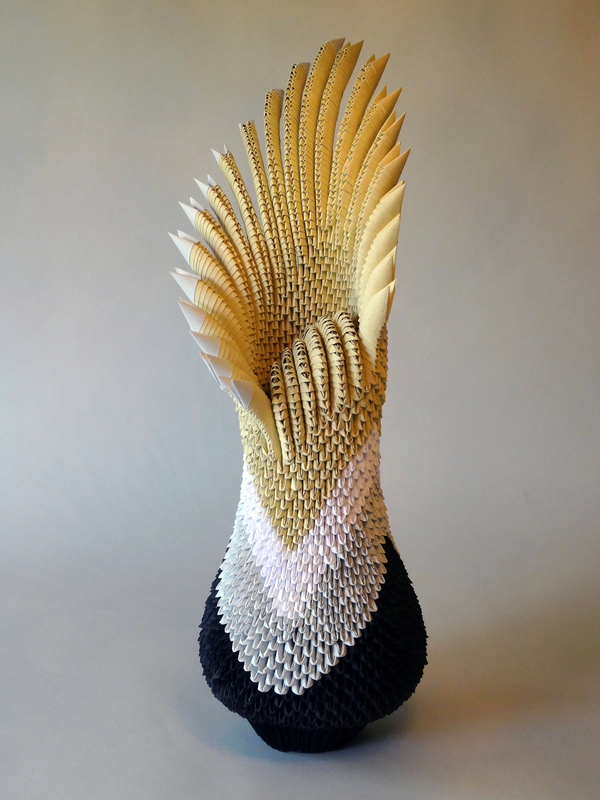 My paper sculptures now reflect individual frailty strengthened by the foundation of unity.